A New Year's Eve party you'll be talking about all year! New Year's Eve at Barrymore's features catered food, NYE decorations, and a NYE countdown. A limited amount of tickets are sold @ $15. Please come early. Everyone has a ticket in advance and it takes time to clear the door and coat check so if you come after 10 expect a lineup. 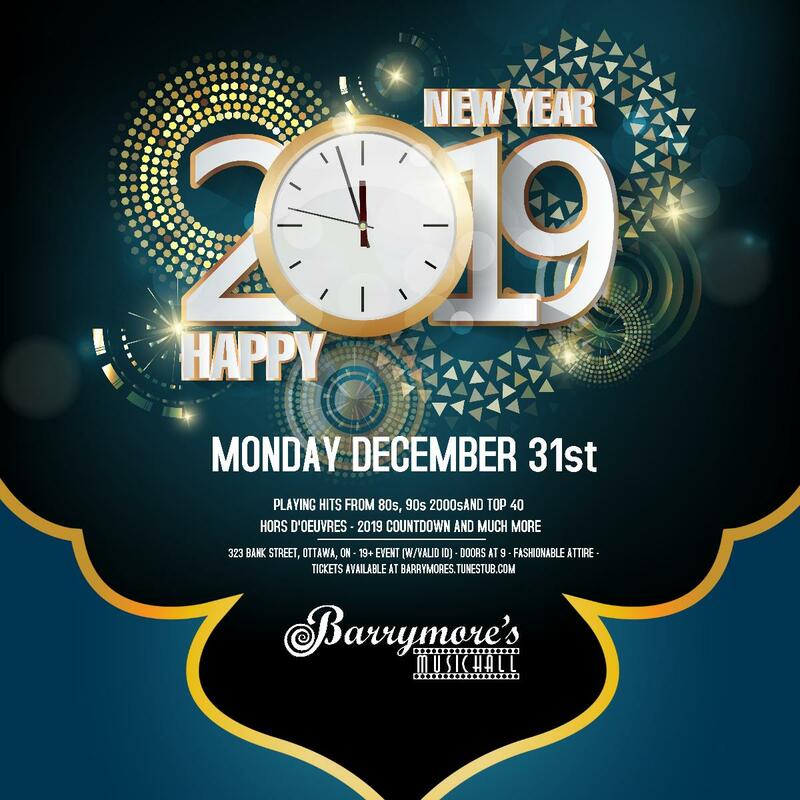 Thanks you for choosing Barrymores once again to bring in the new year in.